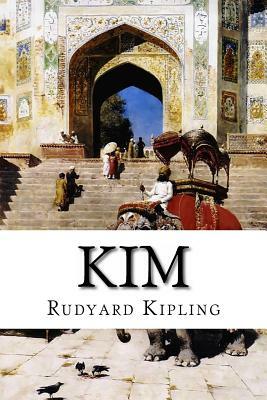 Kim is a novel by Nobel Prize-winning English author Rudyard Kipling. It was first published serially in McClure's Magazine from December 1900 to October 1901 as well as in Cassell's Magazine from January to November 1901, and first published in book form by Macmillan & Co. Ltd in October 1901. The story unfolds against the backdrop of The Great Game, the political conflict between Russia and Britain in Central Asia. It is set after the Second Afghan War which ended in 1881, but before the Third, probably in the period 1893 to 1898. The novel is notable for its detailed portrait of the people, culture, and varied religions of India. "The book presents a vivid picture of India, its teeming populations, religions, and superstitions, and the life of the bazaars and the road.